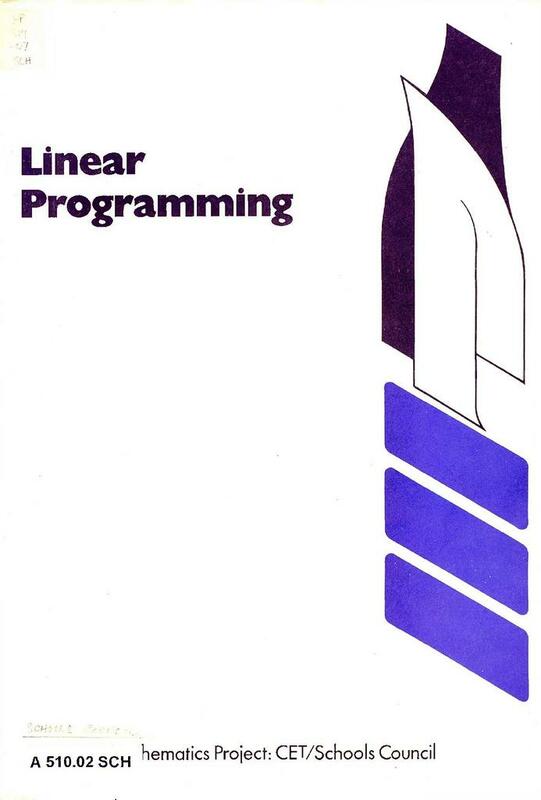 This unit from the Continuing Mathematics Project is about linear programming - a procedure which is used widely in industry to solve management problems. The work here is an introduction to the subject. There are no really new mathematical techniques in the unit. It is rather an amalgamation of things students have probably learnt already - particularly about representing straight lines and inequalities on graph paper. The main aim of the unit is to help students to apply their knowledge of linear inequalities involving not more than two variables (x and y) to the solution of problems of the type where the maximum, or the minimum, value of some combination of the variables of the form ax + by has to be found. (v) solving the problem by finding x and y at the critical vertex, or by finding the coordinates of the point nearest to the critical vertex, if x and y must be whole numbers.